Lamenting the arbitrariness of banks in pricing loans to borrowers and delaying monetary transmission, the Reserve Bank of India (RBI) is planning to bring a new external benchmark for lending rates in a time-bound manner. 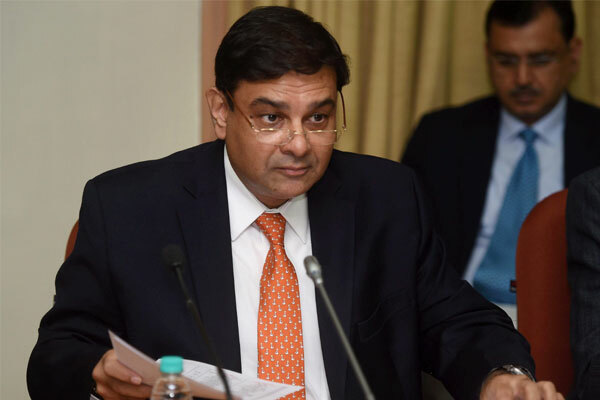 In its fourth bi-monthly monetary policy on Wednesday, the RBI said an internal study group headed by Dr Janak Raj has recommended a switchover to an external benchmark in a time-bound manner to help better monetary transmission. The study group was constituted by the Reserve Bank to study various aspects of the marginal cost of funds based lending rate (MCLR) system from the perspective of improving monetary transmission. “The study group, which submitted its report on September 25, observed that internal benchmarks such as the base rate/MCLR have not delivered effective transmission of monetary policy. Arbitrariness in calculating the base rate/MCLR and spreads charged over them has undermined the integrity of the interest rate setting process. The base rate/MCLR regime is also not in sync with global practices on pricing of bank loans,” the RBI said. Speaking to media persons at the fourth bi-monthly monetary policy conference on Wednesday, RBI deputy governor Viral Acharya observed that the MCLR is not effectively transmitting earlier policy rate easing. The banks’ practice of yearly resets is acting as a hindrance in transmission and it is desirable to have shorter resets, preferably quarterly. Acharya again reiterated the need to move loan pricing to a market linked benchmark. Banks have largely tried to protect their profit margins by prolonging the resets under MCLR. “We think that the internal benchmarks like the base rate or the MCLR, based on data, seem to give banks a very high amount of discretion as a lot of factors that are flexible for them to ensure that lending rates can be kept high even when monetary policy rates are going down an accommodative path,” Acharya said. Currently, the interest rates charged to customers are decided internally by each bank and are opaque and discriminatory. For instance, the rates charges to corporate customers and individuals have a considerable difference with banks offering steep discounts to companies. There is also disparity between interest rates charged to new and old borrowers. Banks too, while they have been forthcoming in cutting their deposit rates enjoying lower cost of funds, have been slow in passing the benefit of lower cost of funds to individuals and companies by cutting their lending rates even when the RBI had cut the repo rate. From January 2015 to September this year, while the RBI cut the repo rate by 2 per cent, banks have cut their Marginal Cost of Funds based lending rate (MCLR) by 1.05 per cent and base rate by a mere 60 basis points even while they have brought down their one year deposit rates by 2.30 per cent. One basis point is one hundredth of a percentage point. A large part of the floating rate loan portfolio of banks is still anchored on the base rate system. India has been using prime lending rate (PLR), then moved to the base rate regime and finally to the MCLR based pricing in April 2016. These are all internal floaters of a bank with a lot of opaqueness.